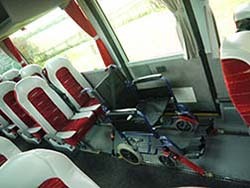 Cozy Travel is the perfect choice for anyone looking for a coach with disabled access. 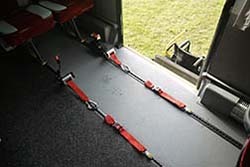 The needs and requirements of our clients is our main priority. 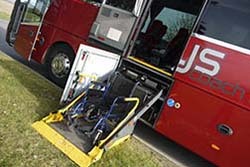 We will always make every effort possible to accommodate our mobility-impaired passengers; whether that means staying seated in a secured wheelchair, or transferring to a coach seat once on-board. 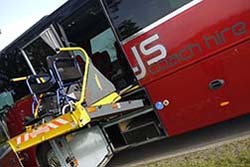 Our wheelchair accessible coaches have either a side/rear entry lift; this will ensure a safe and smooth boarding of the coach. 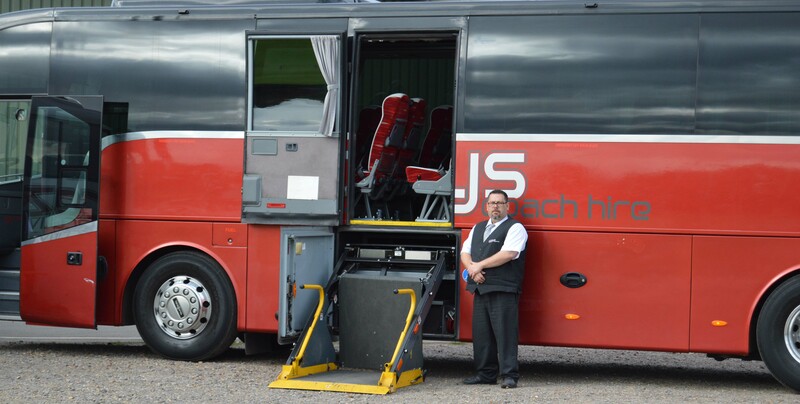 Our fully trained drivers will operate the lift and ensure all wheelchairs are secure and the coach will be prepared with the correct amount of seats and wheelchair anchor points before the vehicle leaves the depot. 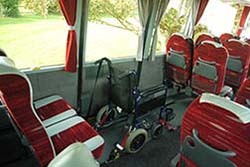 Our wheelchair accessible coaches are able to seat from one to six wheelchairs. 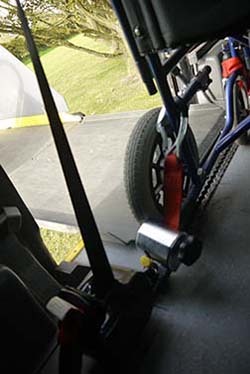 In order to accommodate the wheelchairs, four seats need to be removed from the coach to allow adequate space for the wheelchair and the anchoring straps. 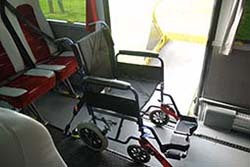 As standard our wheelchair access coaches have lap or 3-point seatbelt, air-con and depending on your requirements floor mounted toilet and hot water boiler. For more information or to discuss your needs contact one of our dedicated advisors.